75% (over 7 in 10) believe the Government is not doing enough to ensure rent is affordable. 72% (over 7 in 10) are concerned about the homelessness rates in Ireland as a result of rising rent and reduced supply within the rental market. 70% (7 in 10) believe that the government is not doing enough to protect those that are already in private rented accommodation. 79% (8 in 10) of those living in private rented accommodation are concerned about the impact of rising rent and reduced supply within the rental market on homelessness rates. 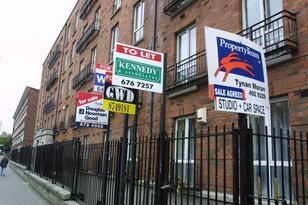 The majority of people believe that the government is not doing enough to tackle rising rents and homelessness in Ireland. A Red C poll*, carried out on behalf of the Simon Communities in Ireland reports these startling figures as part of the Simon Communities Locked out of the Market Campaign. The Simon Community said that it is not surprising people are concerned about access to affordable rented housing given the current pressures. These results are clear, thousands of people all around the country are hugely stressed and anxious about housing and homelessness for themselves, for their loved ones, and for their friends. Three in 4 of us (75%) believe that the government is not doing enough to ensure the price of rent is affordable. Over 7 in 10 of us (71%) believe that the government is not doing enough to protect those that are already in private rented accommodation with almost the same number (72%) expressing concern about the effect rising rents would have on homelessness. Over 6 in 10 of us (63%) believe that the Government is not doing enough to ensure landlords do not increase rents significantly. The private rented market is clearly not working. People who rent have very little security and can face increases in rent that they cannot meet. The gap between housing benefit payments and market rents is just too wide for people who are struggling, people who are homeless or at risk of becoming homeless. Seventy-nine percent of those living in private rented accommodation are concerned about the impact of rising rent and reduced supply within the rental market on homelessness rates. We know many people who are becoming homeless are coming from the private rental sector. They have lost their home and cannot afford to put a roof over their heads. Some stay with extended family and, when that fails, they enter homelessness. The Simon Community Locked Out of the Market Campaign is demanding a better, fairer rental system. The support for the campaign is such that people are sharing their stories of their experiences in the private rented sector, and many are not good. We are highlighting the urgent need for three common sense solutions: full rent certainty by linking rents to the Consumer Price Index; provide people with greater security of tenure; and increase, monitor and adjust Rent Supplement/HAP payments regularly. These must keep pace with market rents or they become ineffective, as is currently the case. 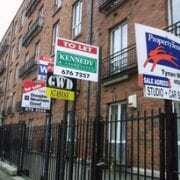 Any measures put in place must impact all tenancies and limit rent increases within all tenancies. The Government’s plan for Rebuilding Ireland is welcome but moving far too slowly. In the absence of sufficient supply of social housing, the private rented sector is not capable of delivering the housing needed to respond to the homeless crisis given the sheer scale. Housing should not be a commodity. We need whole of Government support to ensure that everyone has a safe, secure and affordable home and renting must not be a barrier to this. *About the Red C Poll. This research was conducted through RED C’s RED Line; an online omnibus that has access to a nationally representative sample of over 35,000 individuals aged 18+. Quotas across Genders, age, region and class are controlled to ensure a nationally representative sample based on latest CSO projections. 1,022 respondents took part in this survey during the 25rd – 31st of April 2017.